I've been quite busy recently, so this is just a little update showing the schematics and code. It should provide enough info to get you started. 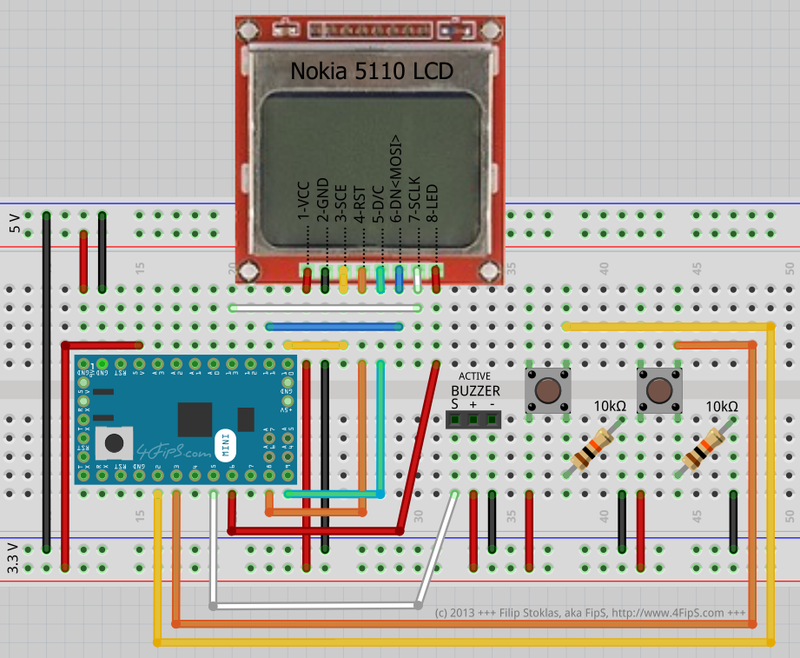 Check out my previous post for more details about connecting Nokia 5110 LCD. Note that this project uses Arduino Pro Mini at 3.3 V, so there's no need for the 4050 level shifter, which makes things much simpler. const int32_t time_ms = millis() / 2; // ??? I am a novice and would like to achieve this timer for my wife .. can you set an output relay and also make a choice to start with output normally off or normally on ?